You might think that spring and summer are the only times that you need to worry about outdoor maintenance. After all, the yard may not look very good in the winter, regardless of the things that you do to keep it maintained. But aesthetics is only part of the reason that you should keep up with outdoor maintenance. There are some things that can be done during some of the winter months, and you'll be happier that you did it now than you will be if you wait. After all, you'll save yourself time later. Plus, you could avoid some major damage if you do some maintenance before you have a problem. Here are four things that you should do to maintain your property. Storms during the fall and winter can do some major damage. Fallen branches and leaves can be unsightly, regardless of the time of the year. If a branch falls during a winter storm, make sure that you take the time to pick it up. Having a commercial property also usually means that you have the public looking at your property at all times of the year, so you want to give a good impression. Also, if you get heavy snow and ice, you want to make sure that any branches that are close to falling are taken down before they fall on the roof and do real damage. So if you see a branch that is about to fall, take the time to cut it down or hire a professional to do it for you if you're not comfortable doing it yourself. Cleaning your gutters is an important step, but gutters are sometimes forgotten about. They aren't an aesthetically pleasing part of your house, but they serve a very important role in your home. Cleaning your gutters might not seem like a crucial consideration, but it's important to do it at least once a year. Not only do clogged up gutters look unsightly, they can also cause damage to your premises. If water is unable to leave via the gutter, it may seep into the building instead, potentially leading to damp and other problems. Also, when gutters are full of debris, you can get icicles. These icicles can be dangerous to you, your employees, and any members of the public that are walking underneath when one falls. If you see icicles, take the time to knock them down. You should also clear out debris before it's too cold. Cleaning debris out of your gutters is one of the most important outdoor maintenance activities. And if you have a lot of snow on your roof that is hanging over the edge, make sure that you get rid of it. When the snow melts then freezes quickly, this adds to the possibility of icicle formation. And if you have a snowstorm, then the weather suddenly warms up, you're more likely to have snow fall off the roof. This can hit people who are walking underneath. If you have a wood-burning fireplace in your commercial property, make sure that you have it swept. You should definitely have this done at least once during the year. By having your chimney swept, you could save your property from fire damage. When soot builds up, this can cause smoke and other problems, so have a schedule of when you have your chimney swept. If your pipes aren't insulated, you'll want to make some time to do this before the really cold weather hits. Uninsulated pipes can be especially dangerous to your home if the heater goes out. If your pipes are insulated, this can buy you more time so that you can turn the water off if the heater goes out. Also, pipes that are on exterior walls can burst if the weather is particularly cold. When a pipe bursts, this can cause significant damage. You might have to close off certain areas of a commercial property for days if you have water damage. Undiscovered water damage can lead to additional problems like mold. This can cause health concerns. It's always best to take precautionary measures rather than wait until you have a really big problem. 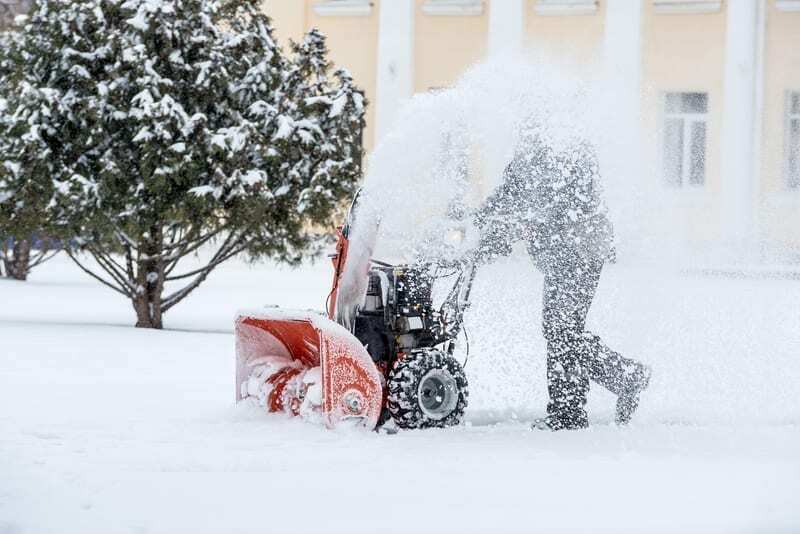 Source: https://www.merchantsgroup.com/watch-frozen-pipes-winter/ When you own a commercial property, it might be easy to forget about winter maintenance. This is especially true because you're more concerned about the business that you need to run. But if you forget to maintain the property, someone could get hurt or your property could be damaged, so take a few minutes on a regularly scheduled basis to take inventory of what needs to be done. If you’re looking for a reliable, trusted, and professional maintenance crew for your commercial or residential properties then you need to keep Crider Landscaping in mind! Get in contact with us today, and see how we can help!